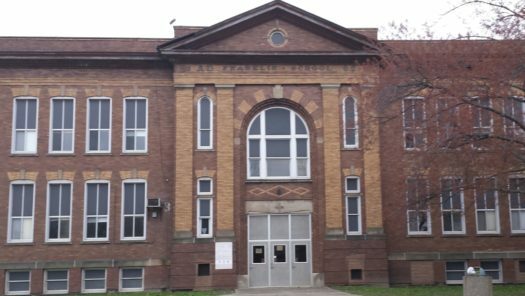 The old elementary school, Franklin, where LCA is located. A local charter school located in Lakewood, named Lakewood City Academy, or “LCA”, is going to be closed following this 2018-2019 school year. The five-year sponsorship with the district will end June 30th, 2019, and will be renewed. What exactly is LCA? LCA is a charter school supported by the district that provides credit recovery and dropout prevention. It is a great resource for the many kids who lack motivation or encouragement to continue on with school; However, due to the strict regulations Ohio’s Department of Education has set in place, it is time for change. In the years 2020-2021, the administrators will collect opinions, go over options, and decide on a new program to implement, along with deciding what alternative education should look like. The goal is to make the transition nearly seamless but incorporate programs that students who attend that school now do not get to partake in, such as certain art, music, and career-tech classes. The students who have gone through and currently are in the program are unable to take said classes, which prohibits them from expanding their creative abilities and letting them express themselves. Although, the students who are currently taking classes at LCA will have expanded privileges as the year progresses. LCA is essential in that, since its opening in 2005, 185 students have graduated that may not have without the alternative education provided for them. It is important that every kid is given opportunities and different routes for what suites them and their needs. The new school will be opened with new curriculum for the 2021-2022 year, and Lakewood as a city is excited to see the direction it is going in and what it provides for students across the district.